Warwickshire Police are appealing for witnesses or information following an indecent assault in Warwick on Saturday (28 July). 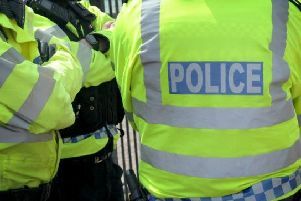 A woman was watching a Morris dancing parade as part of the folk festival on Castle Lane, when a verbal altercation took place with a man in the audience. The man then inappropriately touched the woman over her clothing and slapped her face. The offender is described as a slim white man in his mid twenties, 6ft or taller, with short fair mousey hair. He was believed to be wearing a green jacket, light-coloured cargo shorts and was holding a Sainsbury's bag for life. It's believed he may have been with another man who was wearing glasses and a white lanyard. Investigating officers would like to speak to anyone who witnessed the offence. If you have any information, please call Warwickshire Police on 101, quoting incident number 299 of 28 July 2018. Alternatively, information can be given to the independent charity Crimestoppers anonymously on 0800 555 111 or via their website.